It has glowing evil eyes when it's lit...but looks quite harmless when its not.. 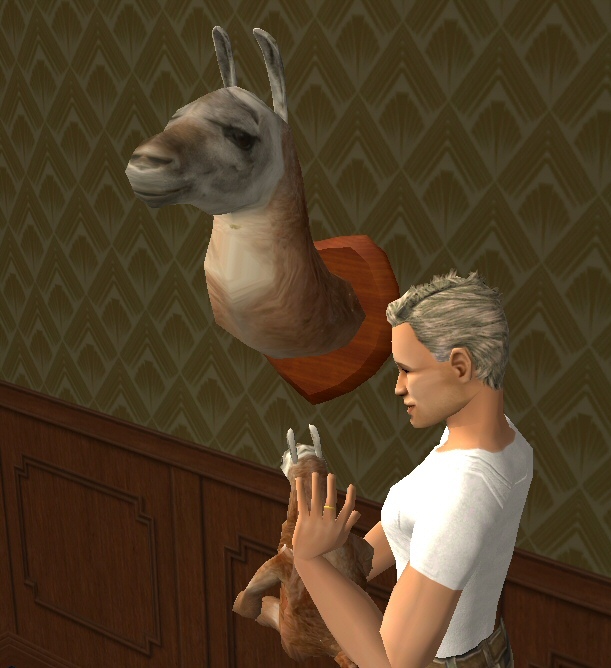 Please note no actual llamas, living or dead, where harmed in the creation of this lamp. It's 100% super-stay styrofoam, featured authentic Llama hair, and powerful LEDs stolen from a laser pointer from the eyes. 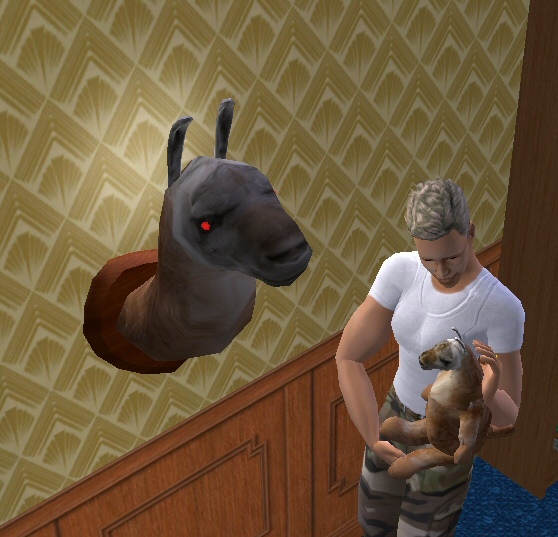 Unfortunately, due to the height off the ground, your Sims will be unable to hug the lamp - but we suggest you check out the other Llama goodies for this. 259 people have said thanks to boblishman for this download.